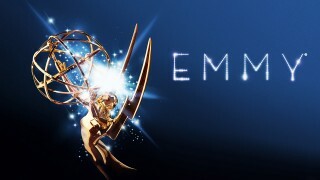 Although Kiefer Sutherland (nominated for 24: Redemption) unfortunately lost out to Brian Gleeson (Into The Storm) in the “Outstanding Lead Actor In A Miniseries Or A Movie” category, he still had a presence at the Emmys. 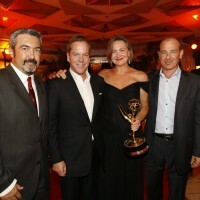 Kiefer took the stage alongside Fringe‘s Anna Torv to present the award for made for Television movie. 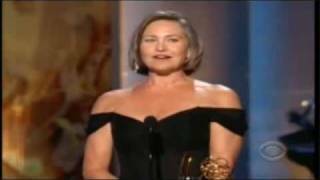 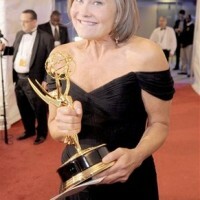 And of course, Cherry Jones had a triumphant win for Best Supporting Actress in a Drama series. 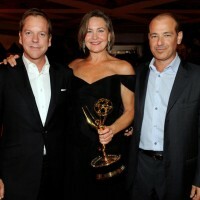 Thanks to Kiefersangel for the Kiefer Sutherland pictures.